Our story begins in 1995, when Ivano Balestrieri creates Il Mondo del Vetro, by opening our first showroom of Venitian collectible glasses in Arese (Mi). Our pieces by Venini, Fratelli Toso and Archimede Seguso start to be exhibited in national fairs of antiques such as Brocantage of Milan and Mercanteinfiera at Fiere di Parma. 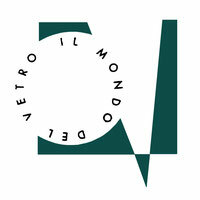 Several collaborations start as well, with artists like Ugo Nespolo or Memphis Milano group, and it makes grow in Il Mondo del Vetro the interest and the passion also for the design and the contemporary art. In this way, in addition to the Murano glass, there are works by Ettore Sottsass, Michele De Lucchi and Piero Fornasetti, paintings by Franco Fasulo, coming to cover the whole applied art from 1900 up until today. In the last years Il Mondo del Vetro has reached also the international market by taking part in events like Les Puces du Design in the heart of Paris or Brussels Design Market in Bruxelles. Il Mondo del Vetro is committed also in the diffusion of the culture of glass and design, that is why we have decided to collaborate in project with associations like Heart - Pulsazioni culturali, and Pila Gallery. The last one is in Orta San Giulio, in the Dimora delle Arti at Palazzo Penotti Ubertini, where il Mondo del Vetro has a permanent exhibition. In November 2017, il Mondo del Vetro realized an exhibition about Ettore Sottsass, in occasion of the centenary of artist's birth. "Hommage à Ettore Sottsass" took place in Paris, at Les Puces du Design. In spring 2018 il Mondo del Vetro have also started a collaboration with LaMari Creative Shoppping for creating a concept store where fashion, art and design dialogue and interact. Here periodically we organize exhibitions and cultural events in order to promoting the culture in every aspects. With over twenty years of experience, il Mondo del Vetro keeps to fully satisfy the requests of its customers by choosing only the best works in the market.